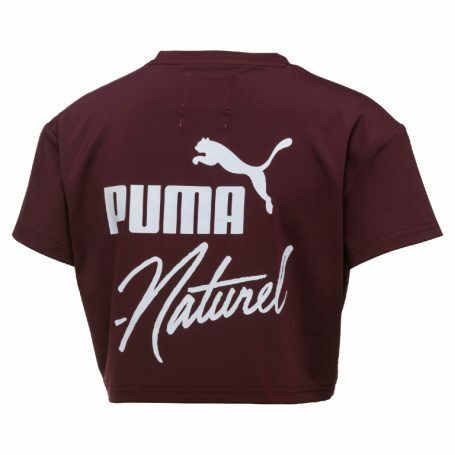 PUMA continues to go beyond the limits of sportstyle design by partnering with fresh creative talent, this time linking up with renowned US-based graphic artist NATUREL for collaborative collection debuting in Fall-Winter ’17. His charismatic approach to street cool has etched his name in the upper echelon of streetwear design. Known for his symbolism-heavy illustrations, street conscious assertions on Neo-Cubist styles, he injects references from sports, fashion and music into his art. What you can expect from this collaboration is nothing of this world. Men are from Mars. Women are from Venus. And NATUREL is definitely from a far galaxy where the norm is thrown out the window. The PUMA x NATUREL collection consists of footwear, apparel and accessories inspired by space travel and a vision of an urban landscape on the moon, accented by military details. NATUREL spins timeless icons like the Suede and Clyde making them street wearable art. No limits, no boundaries, pure NATUREL. The first drop of the collection releases on July 8th followed by a second drop in September. Available through PUMA.com, PUMA stores and premium sneaker retailers worldwide. The iconic Clyde gets a NATUREL update with a ‘Moon Jungle’ camo graphic upper and classic solid black sole. Out of this world, fashion meets a sport classic. This Clyde’s slick upper hides laces for a clean look and is equipped with a NATUREL-made pink glow-in-dark-sole. Ready to prowl. This leather platform’s clever upper hides laces and exposes NATUREL’s fierce Cheetah graphic. Giving PUMA’s original Savannah style the NATUREL treatment. This savannah Jacket with its asymmetric half zip comes with soft lining and the seasonal Moon Jungle Camo print created with NATUREL’s typical graphic handwriting. A must-have for the next autumn season. Fierce to a T. This shirt gets the NATUREL treatment with the rain camo all over print and a branded tape PUMA x NATUREL running through the back. With its soft base quality, it can be worn while working out or for an advanced street look alike.